We did wear some shite in the early 80s eh?! You may well laugh you haven't seen my 80's fieldsheer two piece leathers in white, lime green and blue, with Kawasaki down the arms and legs. I'm saving them for the maiden voyage.lol. I'll bet Tim's got one of those jackets!!! 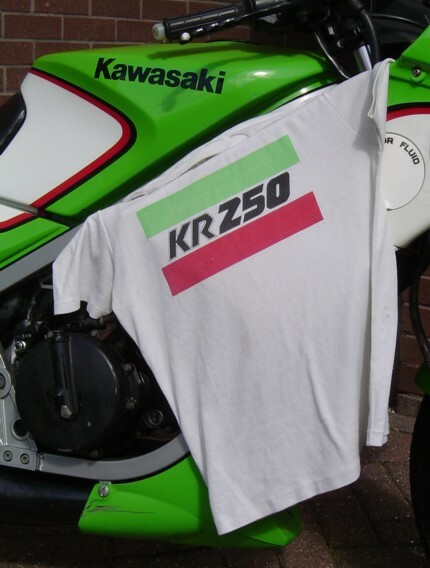 dougindoors wrote: You may well laugh you haven't seen my 80's fieldsheer two piece leathers in white, lime green and blue, with Kawasaki down the arms and legs. I'm saving them for the maiden voyage.lol. Smashing ! Be sure to put a picture up when that happens.. .
All adds to the occasion eh? 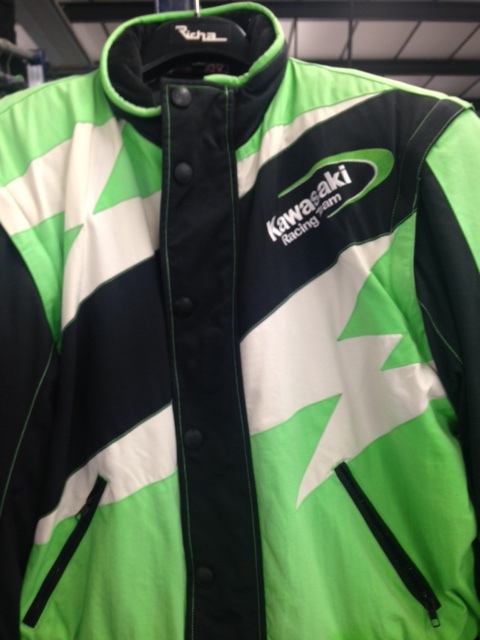 I have an older genuine Kawasaki jacket just for when I get out on the KR..
Bought from Padgetts last year, they had lots of older style clothing in stock, unfortunately, a lot of the common sizes are NLA. 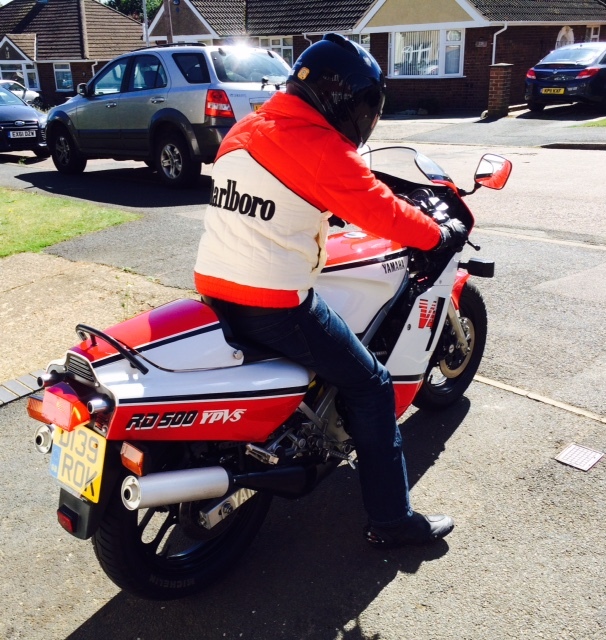 I have also recently bought (from Padgetts again but from their shop on he Isle of Man ) some 80s red/white boots to go with my RD500, picked up the 80s Marlboro paddock jacket for it a few months back, my Mrs and kids just take the piss when I wear them but I dont care! 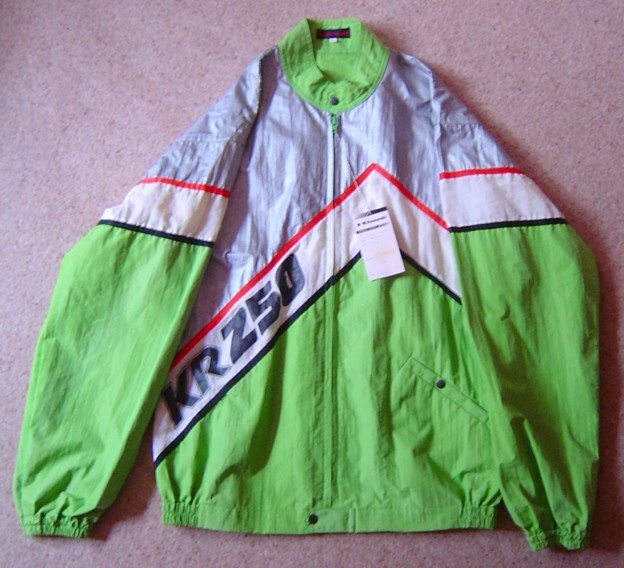 The Kwacker ones were from the 1970s, apologies for the Suzuki jackets, from the 1980s. Yes, they still all fit too! I used to have a zip-up version of the green jumper too, but that must have got thrown out years ago. 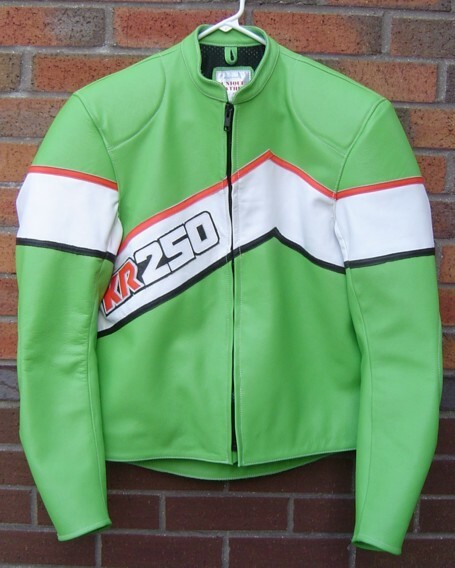 Some classics there alright, I remember the RG jackets very well..Anymore out there?! the KR kid wrote: I'll bet Tim's got one of those jackets!!! I have. Brand new, in the Kawasaki packaging with the Japanese price label. And a T-shirt from the original (Australian) launch. And a one-off leather jacket my lovely missus had made for me.